Innovative, cost-saving products and solutions are still very much in demand in the U.S. automobile industry. “As suppliers, newcomers should fill all orders placed by U.S. customers in Europe before they attempt to enter the U.S. market. This will give them the best chance for success here. A local presence in the country, whether by means of a subsidiary or service outlet, is essential and indispensable,” reports Franz Rössler, Austrian Trade Commissioner in Chicago, summarizing the main impressions of an Austrian delegation who participated in a field mission trip at the beginning of October. The automotive fact-finding mission, organized by the Austrian Trade Commissions in Chicago and Toronto, provided the opportunity to meet with some of the most important buyers representing the North American automobile industry and profit from an exchange of experiences with colleagues. The assessment of the market by experts appears particularly interesting in regard to the development of the automobile industry in the future: According to Neil DeKokker, president of the U.S. Equipment Suppliers Association, the automobile and automotive supplier industry is in the middle of a consolidation phase. As Craig Fitzgerald of the consulting firm Plante & Moran explains, “the U.S. automobile industry has only 40% of its restructuring behind it; 60% is yet to come in the next five years.” Within the same period of time, the automotive industry will, however, continue to grow worldwide at 5% annually, and the number of cars manufactured will grow by 2.5%, indicating that motor vehicles are of a better quality. John Carroll of the Detroit Regional Economic Partnership sees Detroit remaining the worldwide automotive engineering center. At the same time, American experts agree that more engineering will be outsourced to sites in Asia. For Austrian automotive suppliers, it will be increasingly important to find a niche where there are no more than a maximum of four to five similar suppliers. The highlight of the trip was a ninety-minute meeting with the automobile industry’s most important buyer worldwide, Bo Andersson of the General Motors Corporation (GM). Heading the 4,000 employed by GM’s locally-established purchasing organization, he offered the participants an assessment of opportunities for cooperation. Andersson advised European suppliers to only consider entering the highly competitive U.S. market when it has fulfilled its obligations to its GM customers in Europe: “Only after a European supplier has done his ‘GM homework in Europe,’ should he consider finding a niche in the highly competitive U.S. market.” In Europe there is opportunity particularly in Central,- Eastern and Southern Europe as well as in Germany and Austria. Austria is considered a very good production site for GM. Austria’s strong expertise in mechanical engineering is highly valued as is its presence in Eastern and Central Europe and its involvement in Eastern and Central European markets. The eleven Austrian participants in the fact-finding trip profited from an exchange of experiences with their European colleagues, based in the U.S., like August Hofbauer from Magna Steyr North America and Don Manvel from AVL North America. Meetings at Brose North America and Karmann U.S.A. resulted in initial talks regarding mutual cooperation on future projects. Basic observations and advice from their U.S.-based colleagues can be summed up as follows: Whereas in Europe, technology is usually the most important aspect in selling, in the U.S. it is more about fostering a good relationship with the customer. Although the U.S. is one hundred times larger in surface area than Austria and has about fifty times more people, there are always niche markets to be covered. The low exchange rate of the U.S. dollar makes exports from Europe more expensive, but at the same time makes investing in North America cheaper. In general, the automotive industry is one of the most important industrial sectors of the U.S. and offers every seventh employee a job. The fact finding trip finally included a meeting with buyers at the “new” Chrysler. The participants were told that since the departure of Daimler, “all doors are open again for new suppliers.” Both GM and Chrysler stressed that there is no demand for standard solutions, but rather for innovative and cost-saving products and technologies. Other important trends: go global, go green. The Austrian motor vehicle and supply industry has become the third most important industry in the country with a turnover of 20 billion EUR and an 80% export share. Roughly 700 companies generate a sales volume of more than EUR 21.5 billion (USD 29.7 billion) per year. They produce 230,000 passenger cars and approx. 23,000 freight vehicles and buses per year. The export quota stands at an impressive 98%. Austrian exports in this sector to the U.S. amounted to 1.4 billion EUR in 2006 and imports from the U.S. 600 million EUR. 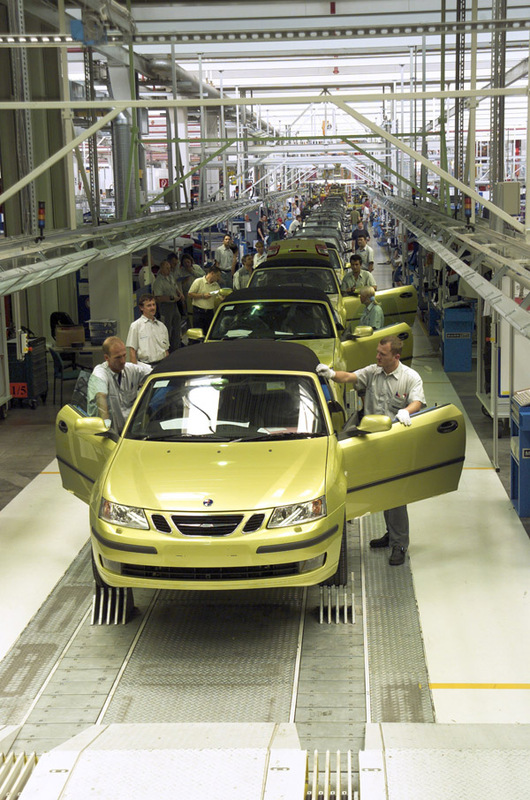 The strength of the Austrian automotive sector, which employs 175,000 people (+4%), means that every 18th Austrian job is in the motor vehicle and automotive supply industry, which consists of a mixture of small, medium-sized and large enterprises. Innovation, quality, and flexibility as well as research and development make the Austrian component suppliers successful internationally. A milestone was reached in November, 2006, when the production of the one millionth Chrysler/Jeep was celebrated. Some fifteen years after the first Chrysler ‘Minivan’ rolled off the conveyor belt back in 1991 in Graz, Austria, Daimler Chrysler’s Chrysler Group celebrates the production of one million Chrysler and Jeep motor vehicles “Made in Austria.” The one millionth automobile was a Jeep ‘Grand Cherokee,’ which is the best selling model produced by the Chrysler Group outside North America. When stretched in a line one behind the other, vehicles produced by Chrysler and Jeep would stretch from the most northern point in North Cape, Norway to the southern point of Italy, some 5,000 kilometers. Today Magna Steyr produces, together with the Chrysler ‘Voyager,’ Chrysler ‘300c,’ Jeep ‘Commander’ and Jeep ‘Grand Cherokee,’ four automobiles from the Chrysler Group for almost all of markets outside North America where the Chrysler Group is represented.